I've barely had time to post anything lately! 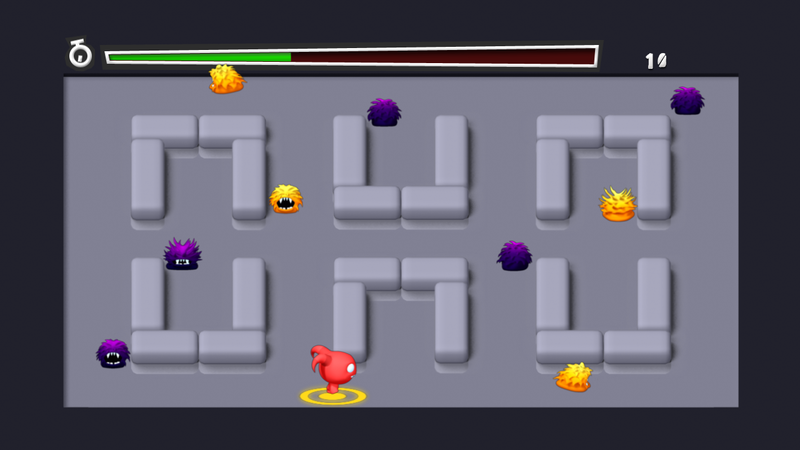 We’ve been working away on the PC version of Chompy Chomp Chomp for the last month or so. This isn’t just a port of the existing game. It has a new single player / co-op mode to give the PC users the Chompy experience without needing lots of game pads. Here is a screenshot of where we are. We're working on the level design at the moment. The Blobbidees have infested our garden so we’ve sent the Chompies in as pest control! 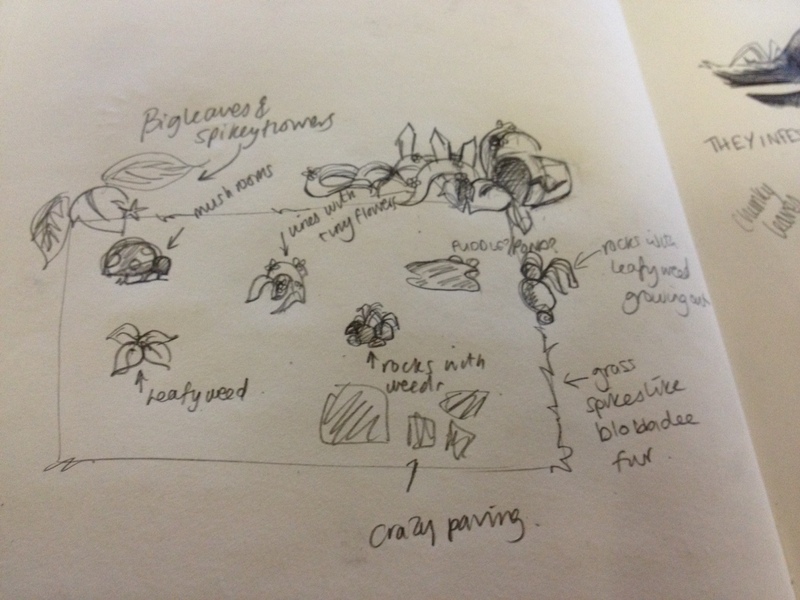 Here is one of the early doodles of the garden that Sarah has done, which I am currently turning into 3d and animating. We always say that our players experiences and emotions are really important to us, and we knew that Chompies on PC would be a different experience. So we wanted to create something for that would be particularly engaging and fulfilling for a single player on their PC. We want it to be a quick fix buzz, which you can compete against yourself with and feel like you can keep getting better and better. We've added a co-op mode as well, because we loved crowding around a keyboard when we were kids and playing co-op games with our siblings. Chompy Chomp Chomp has always been about families and friends for us.